A three bedroom detached family home benefitting from a lovely sun room extension to the rear, off street parking and a stunning rear garden. The accommodation briefly comprises entrance porch, entrance hall, office/bedroom, living room, dining area, kitchen and sun room to the rear. To the first floor there are three bedrooms that are served by the well appointed house bathroom.w.c. Outside, to the front there is an attractive lawned garden together with a paved driveway providing off road parking. To the rear there is a well manicured garden with indian stone paved patio areas and an attractive lawn. 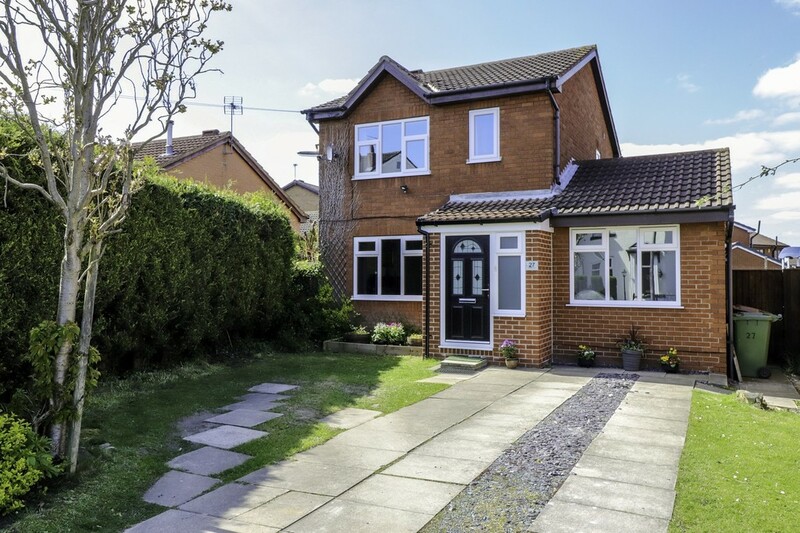 The property is located close to local Normanton town centre which benefits from it's own railway station and supermarkets as well as having easy access to the M62 motorway network, ideal for those looking to work or travel further afield. An early viewing comes highly recommended to fully appreciate all that is on offer within this quality home. ENTRANCE PORCH Composite front entrance door, laminate flooring, UPVC double glazed window to the side, inset spotlights to the ceiling and door to entrance hall. ENTRANCE HALL Central heating radiator, stairs to the first floor landing, door to the living room and door to a study/bedroom. STUDY/BEDROOM 8' 2" x 10' 7" (2.51m x 3.25m) Coving to the ceiling, UPVC double glazed window to the front and central heating radiator. LIVING ROOM 11' 9" x 13' 8" (3.59m x 4.17m) max Living flame effect gas fire with a marble hearth, matching interior and wooden decorative surround. Coving to the ceiling, UPVC double glazed window to the front, central heating radiator and opening off to the dining area. DINING AREA 7' 1" x 9' 1" (2.16m x 2.77m) Coving to the ceiling, central heating radiator and UPVC double glazed French doors to the sun room. Door to the kitchen. KITCHEN 16' 10" x 9' 0" (5.14m x 2.76m) Fitted with a range of wall and base units, laminate work surface over and tiled splash back above incorporating a 1 1/2 stainless steel sink and drainer with mixer. Range cooker with seven ring gas hob and cooker hood above, space for a large fridge/freezer, fully tiled floor, chrome ladder style radiator, coving to the ceiling, UPVC double glazed windows to the rear and composite stable-style door. Kick space heater, plinth lighting, integrated Diplomat dishwasher and integrated John Lewis washing machine. Underfloor heating. SUN ROOM 12' 1" x 7' 11" (3.69m x 2.43m) UPVC double glazed bi-folding doors to the rear and side, inset spotlights to the ceiling, tinted glass roof, laminate flooring, contemporary wall mounted radiator, power and light. FIRST FLOOR LANDING Coving to the ceiling, UPVC double glazed window to the side, loft access point, central heating radiator, doors to three bedrooms and the main house bathroom/w.c. Airing cupboard. MASTER BEDROOM 8' 11" x 11' 6" (2.72m x 3.53m) UVPC double glazed window to the front, coving to the ceiling, ceiling fan and central heating radiator. BEDROOM TWO 8' 11" x 9' 4" (2.73m x 2.87m) max Double fitted wardrobe, UPVC double glazed window to the rear, central heating radiator and coving to the ceiling. BEDROOM THREE 6' 6" x 5' 11" (2.0m x 1.82m) UPVC double glazed window to the front, central heating radiator and coving to the ceiling. BATHROOM/W.C. 5' 4" x 6' 0" (1.65m x 1.84m) Three piece suite comprising curved panelled bath with curved shower screen over and electric shower, low flush w.c. and pedestal wash basin with chrome mixer tap. Chrome ladder style radiator, fully tiled walls and floor, inset spotlights to the ceiling and UPVC double glazed frosted window to the rear. Underfloor heating. OUTSIDE To the front of the property there is a paved driveway providing off road parking together with a pleasant lawned garden. To the rear there is an attractive garden, primarily laid to lawn with an Indian stone paved seating area and well maintained borders. Outside lighting, water point and large timber shed. To the side there is a built in outhouse (2.77m x 1.41m housing the boiler). 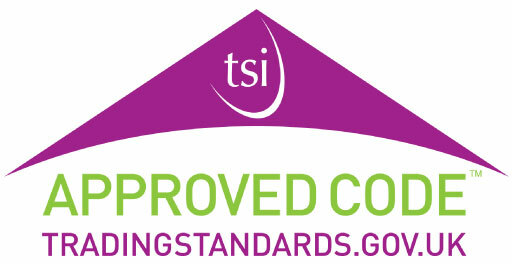 EPC RATING To view the full Energy Performance Certificate please call into one of our six local offices. LAYOUT PLANS These floor plans are intended as a rough guide only and are not to be intended as an exact representation and should not be scaled. We cannot confirm the accuracy of the measurements or details of these floor plans. VIEWINGS To view please contact our Normanton office and they will be pleased to arrange a suitable appointment. For more information on this property please contact us on 01924 291 294 or mail@richardkendall.co.uk.